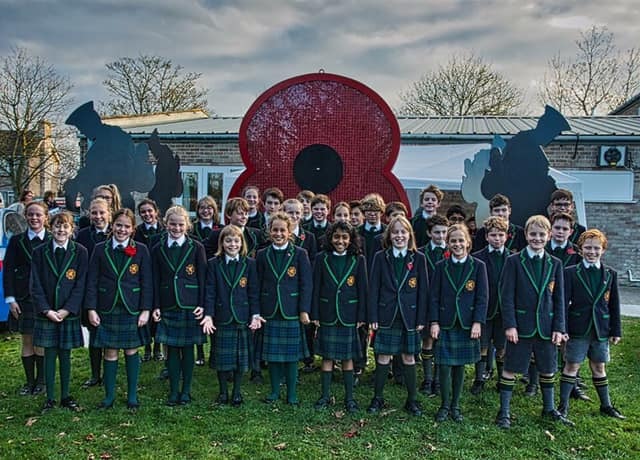 Our Senior Choir and Worship Band performed at the final stop of the Poppy of Honour’s tour of Somerset in Johnson Park, Yeovil, last week – and what an honour it was. The Poppy of Honour is a giant poppy made in Somerset, featuring the names of all 1,115,471 British and Commonwealth servicemen and women who died in the First World War. The poppy will now tour the UK and the Republic of Ireland in February 2019 followed by the Tower of London and the Menin Gate in Ypres, Belgium. Many thanks to the organisers and to everyone who has been involved in such a special commemorative project – and well done our pupils, who did us proud both in performance and behaviour.